The Project provides for roads, supporting utilities, enhanced multi-modal choices, and design of a “cap." 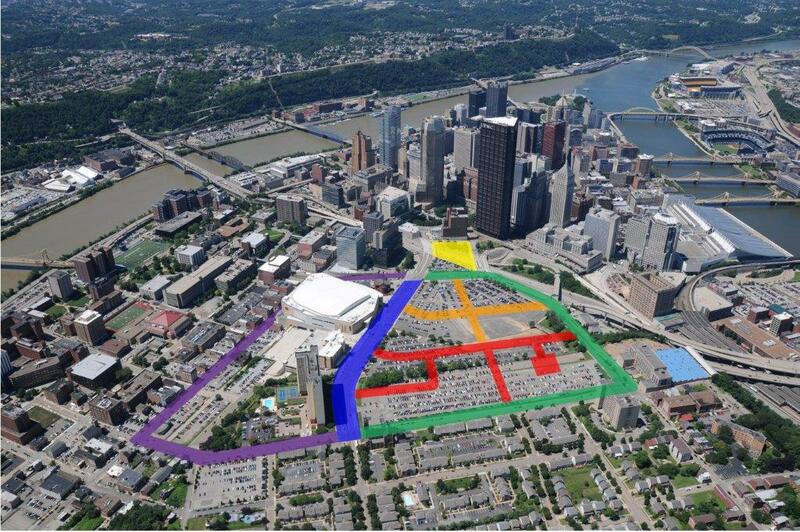 In the 1950s, urban renewal leveled much of Pittsburgh's predominantly minority Lower Hill District neighborhood to make way for a new civic arena. This aging arena was torn down in 2012. The 28-acre site is currently physically and economically separated from the central business district. TIGER VI funds for capital are being requested to close the funding gap to rebuild streets and other urban infrastructure to support mixed-use redevelopment on the 28-acre site and to make infrastructure improvements to the surrounding area. TIGER VI funds for project-level planning are being requested for final design of a cover (“cap”) over the interstate highway that will eventually reconnect the 28-acre site and Hill District to Pittsburgh's Downtown. The project will improve economic mobility for a disadvantaged population by removing barriers to transportation systems, providing multi-modal choices to connect people to centers of employment, education and services, and promoting long-term economic opportunities through the redevelopment of the 28-acre site.